Editor’s Note: This 19 Crimes Red Blend Review is part of our value series of wine reviews. Learn about both affordable and accessible wines – such as the 19 Crimes Red Blend – that are guaranteed crowd pleasers. This was a solid find at my nearby grocery store. Fruit-forward, smooth and inviting, this particular vin has become one of my go-to house wine for pre-party celebratory events. It’s also easy to find. The 19 Crimes Wine (Red Blend) is commonly available at most major retailers (including Costco), for about $8.99. Note that we’ve still been able to find the 2011 vintage in South Florida, but we’ve heard from other locales that it’s been more difficult to come by. That said, the 2014 vintage has been making the rounds, and does pack similar flavor notes – well worth a try. We’ve found the balance vintage to vintage to be largely consistent as long as the grape concentrations don’t deviate too much. The branding initiative for this particular red blend is extensive and appears to have had significant success. 19 Crimes as a brand and winemaker, prides themselves on the culture that led to what we now know as Australia. During both the 18th and 19th centuries, criminals indicted in England were deported to Australia as a penal colony, as opposed to being executed. The result, after a couple hundred years, has lead to a beautiful, delicious and inspiring New World wine region. “Nineteen Crimes turned criminals into colonists. Upon conviction, British rogues, guilty of at least one of the 19 crimes, were sentenced to live in Australia, rather than death. This punishment by “transportation” began in 1786, and many of the lawless died at sea. For the rough-hewn prisoners who made it to shore, a new world awaited. 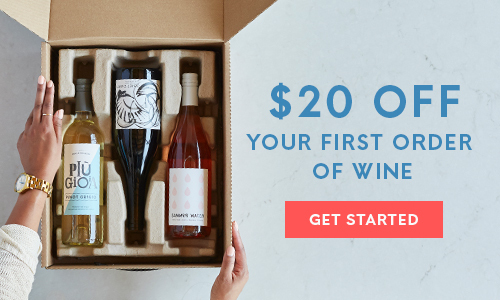 RELATED: If you dig the 19 Crimes, get other great tasting wines delivered to your door by our favorite wine club. Right now, they’re giving away the first month of membership free plus shipping. This is a delectable blend of 82% Shiraz (Syrah), 12% Grenache and 6% Mataro (Mourvèdre). This essentially makes it a GSM red blend – except the dominant variety is a Shiraz. The 2011 vintage is incredibly popular – and for good reason. The Vintner has managed to achieve an end product that comes off as predominantly dry, yet with an ever-so-slight taste of sweetness. In fact, the wine itself is mostly dry, but it’s the big fruit notes on the opening palate (thank you, Shiraz), backed by noticeable vanilla flavors that actually make it taste slightly sweet. Given the grape varieties and aging styles, the 19 Crimes wine can be aged until 2019 safety in optimal conditions. However, seeing as how affordable it is – buy a case, store a couple bottles and drink the rest. This is a medium-full bodied red blend with a truly superb balance from start to finish. In the glass, we see a black cherry and rich red garnet hue over a blackberry-esque core. The nose is rich with slightly over-ripe black and blueberry notes. This is backed by undertones of cinnamon, vanilla and lightly toasted bread. On the opening palate, the Shiraz really shows herself by permeating each tastebud with blackberry, boysenberry and pomegranate undertones. The mid-palate evolves with very soft and mild tannins, light acid and clay minerals. Earth is limited in this wine, but there’s no shortage of holiday-style spices, English custard and vanilla. Towards the end of the mid-palate and approaching the close, the red fruit and light body of the Grenache aids in balancing the wine Shiraz alongside the not so soft and subtle Mataro (Mourvèdre). Expect a lingering finish of blackberry, cassis and continued undertones of both cacao and vanilla bean. Note: Don’t be mistaken! This wine is predominantly dry – it just tastes sweeter than your average GSM (SGM in this case). I guess that’s just Aussy goodness, yum! This wine really allows for endless possibilities when it comes to food pairings. However, given the sweet and savory style prevalent in this blend, we’re going to consider savory pairings. I say it a lot, but this type of wine will go great with seasoned pork. Especially Spanish-style lechon (crisp skinned, roasted pork). Looking to make a good lechon? Check out this recipe. Pork not your thing? That’s okay. We thought of a few other ideas. This Mango Chutney Chicken Curry recipe makes me want to stop writing and start cooking. Barbecue is also a clutch option for pairing any style of meat with this wine. It’s the perfect style of sweet and spicy marinade. Order a barbecue chicken pizza or try out this Oven Barbecue St. Louis Rib recipe at home. in my lifetime. I have ordered a case on offer, happy days. Duncan, what would you say are the other wines are in your top 5 reds? I’m a fan of 19 crimes as well so I figured we might have similar taste! Keep the bottles on it’s side to keep the cork moist. Came across this today in B&M of all places. Was going for the Wolf Blass but this caught my eye. Like it a lot.